Rochdale Olympic Gymnastics Club was borne out of the dedication and enthusiasm of many people back in 1973. 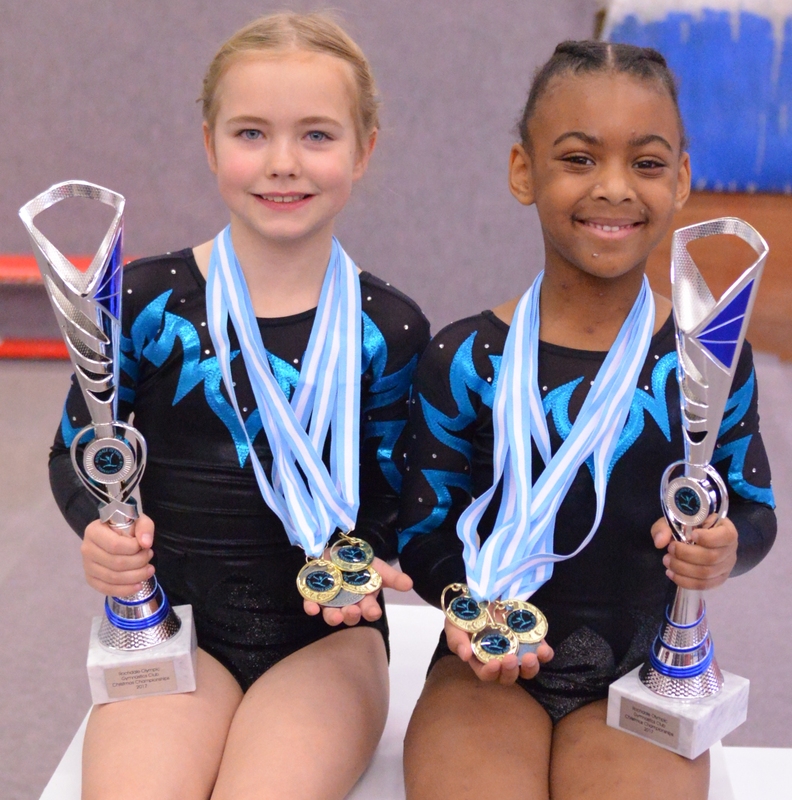 It has grown to what is now one of the most respected gymnastics clubs not only in the town but in the Greater Manchester County, the North West Region, and around the Country. Collectively everyone involved was capable of running a club and we could achieve something positive for the children. By the end of the first year we had a nucleus of children who were showing enthusiasm for the sport. The only way forward was to join the British Amateur Gymnastics Association and Rochdale Olympic Gymnastics Club became fully affiliated to the National Governing Body. Competition was always at the forefront of our minds and in the next few years we started to show some success. As the standard of our gymnasts rose we were finding it more and more difficult to train in what was a very small gym in the sports hall at Matthew Moss High School, so small in fact that in order to vault we had to run from inside a cupboard, and even then we only had half a vault run up. 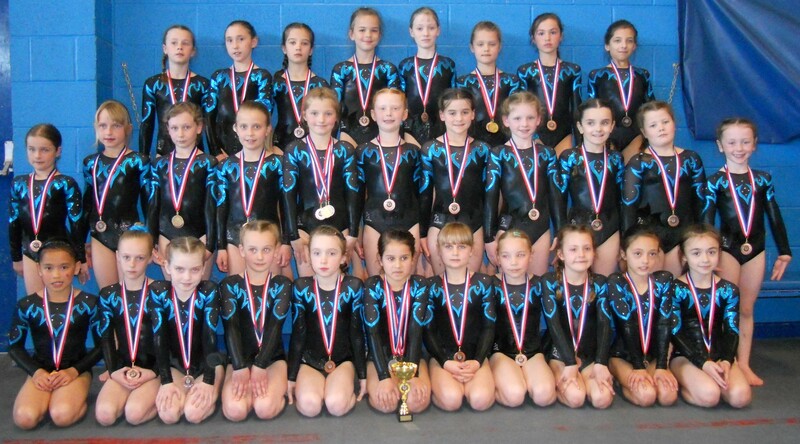 With the number of gymnasts increasing within the club an improvement in facilities was required. Not long after we found a new home at Castleton Community Centre. During this time our training was continuing at a great pace and more and more competition success was coming our way. With the move to the new centre on the horizon we started to increase the number of gymnasts which necessitated increasing our coaching hours to accommodate them. Luckily a number of parents over the years had offered their services as coaches, administrators, a treasurer and helpers in various roles and the club was on a sound footing. The next few years saw the midnight oil being burnt in order to raise the funding for what was the most ambitious project that Rochdale Olympic Gymnastics Club had seen - a move to our very own space in the stables at Springfield Park. An empty shell !!! Once again an army of parents rallied round, working their fingers to the bone. The building was transformed. A massive effort by all concerned. The new building brought new impetus. The club was getting more popular, and we were catering for pre-school, recreational, and elite gymnastics. From 50 pence a week the gymnasts paid in the early days the club was now having to be run more as a business, expecially with all the extra equipment we needed to buy. During the next few years the club went from strength to strength, at every A.G.M. we were reporting increasing numbers, increase in coaches, and success at a higher level. 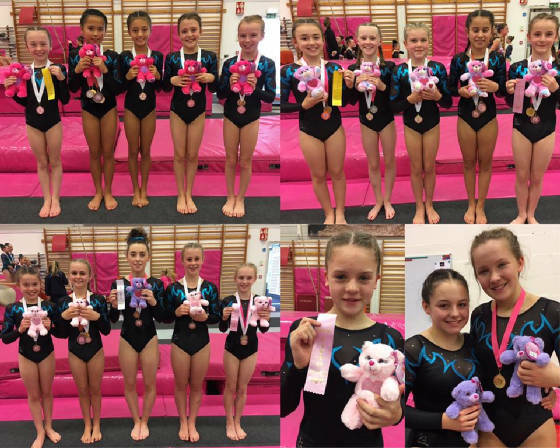 Competition success has continued with our gymnasts winning medals in County, Regional and National competitions. You will have noticed here that no names of any of our committee, coaches or helpers who have volunteered their services over the years have yet been mentioned. We could fill a book with the names of people that have helped make this club the outstanding success that it is to this very day. 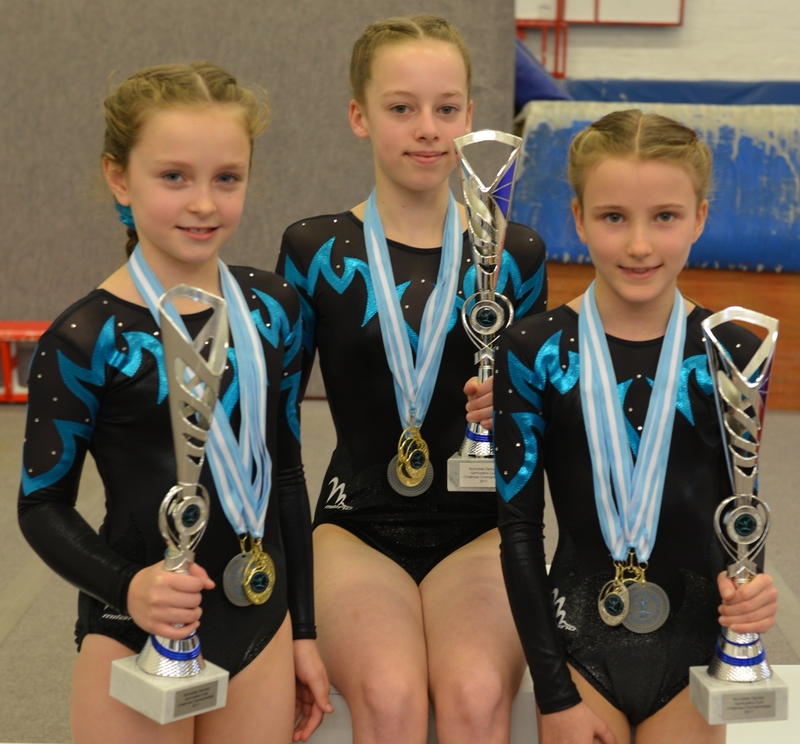 We would, however, like to take this opportunity to thank them from the bottom of our hearts for the hard work and dedication they have shown to the club and the gymnasts in their care over the years. We now come to the future. We are looking into the possibility of somehow extending the gym. This obviously has great financial implications but we feel that it is the next step in giving our members the best possible chance in their chosen sport. 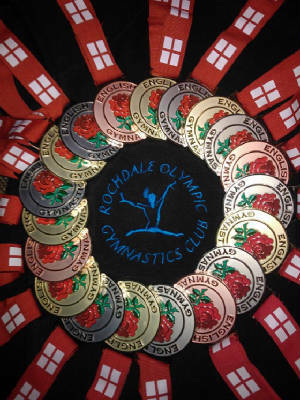 It is the aim of Rochdale Olympic Gymnastics Club to ensure that every child is given the chance to reach their maximum potential in an environment based on excellence, enjoyment and safety. To provide the opportunity for every individual with an interest or talent for gymnastics to be able to realise their full potential within the whole sport of Gymnastics, whilst supporting and nurturing members, professional staff and volunteers in the provision of high quality services that meet members expectations and constantly strive to improve against specified performance indicators. We have a Recreational Beginners Class for Boys and Girls, and a Girls Squad training up to National Level. We progress from Recreational Floor and Vault Competition to National 4 Piece Competition. Any boys showing any talent or potential in our beginners classes are immediately referred to Bury Gymnastics Club to enhance their training. The Club is run by a General Committee. The Club Committee invites all members and parents to attend their regular meetings. Election of committee members is held in April of each year at the Annual General Meeting and parents are invited to vote. The committee consists of parents, coaches, judges and volunteers. The code of conduct in operation must be adhered to at all times. This is to prevent injury enhance learning speed and prepare gymnasts for their future in the sport and their future outside the facility. If parents have any comments or queries about their child's abilities and development, they are fully encouraged to consult the coaches. Every care is taken to provide the best environment possible to ensure rapid learning of skills for each child present. The coaches are there to help the parents as much as the gymnasts in this complex sport. Most of the coaches have full time jobs as well as working in the gym, and some of them work voluntary. So please show some appreciation for their hard work by informing them of any anxieties you may have. The sport combines power, grace and expression - a hard combination to achieve. It is both mentally and physically demanding. There are hundreds of skills to learn and perform, and new skills to be developed that have not yet been achieved. There are rewards to be reaped from the sport. For example - self discipline, self esteem and confidence, which will all become apparent in areas outside the sport. All the coaches at R.O.G.C. would like to thank all club members for their continued support. We cannot succeed without this help and it is much appreciated. ENJOY YOUR TOUR OF OUR SITE. WE DO WHEN WE'RE ON OUR TRAVELS !!! CARRY ON BROWSING OUR SITE AND LOOK FOR YOURSELF. WORK IS CONSTANTLY BEING DONE TO KEEP OUR WEB SITE UP TO DATE. PLEASE BEAR WITH US IF IT IS NOT UP TO DATE.